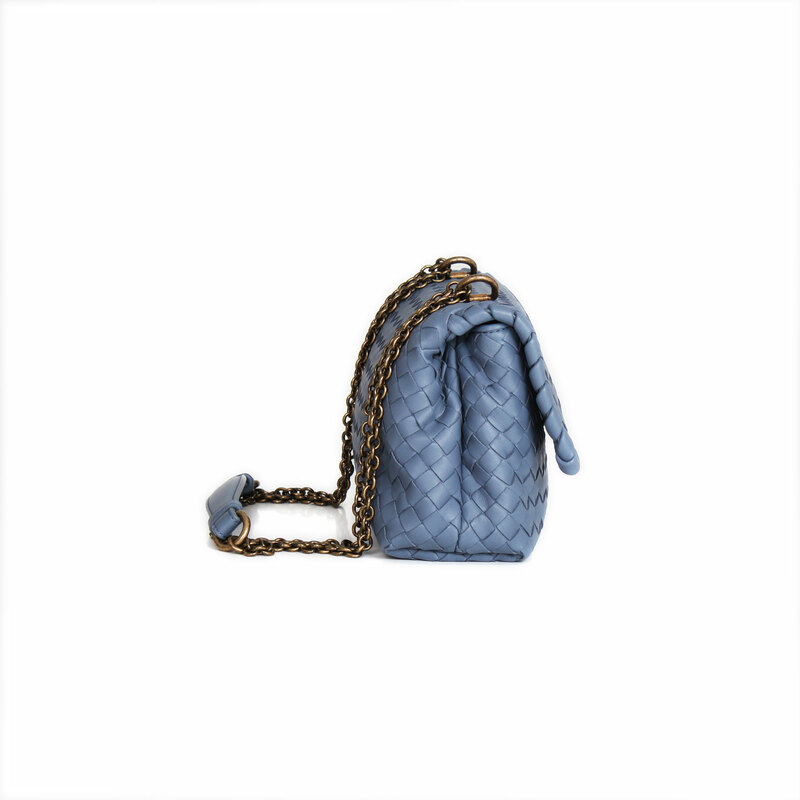 A lightweight bag, ideal to carry your daily essentials with a casual look. 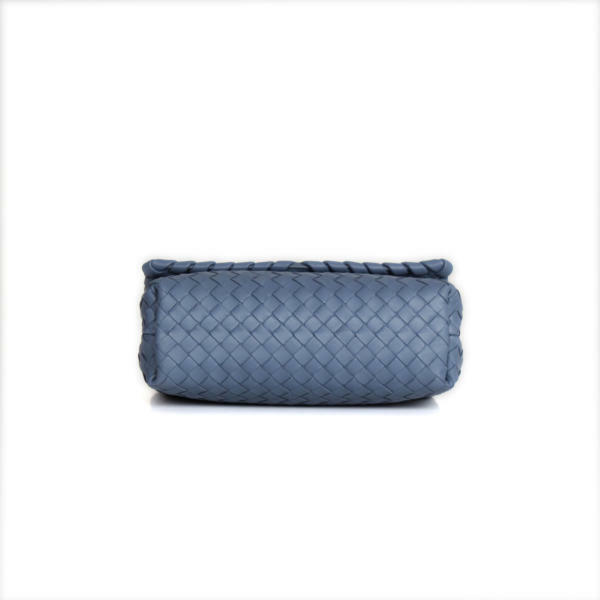 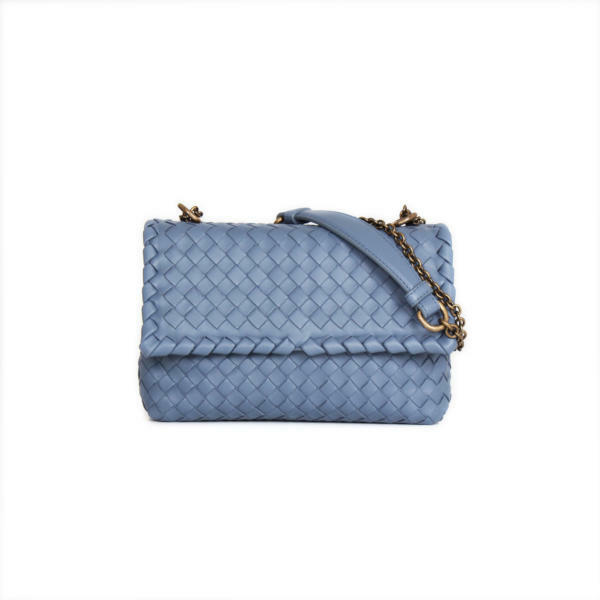 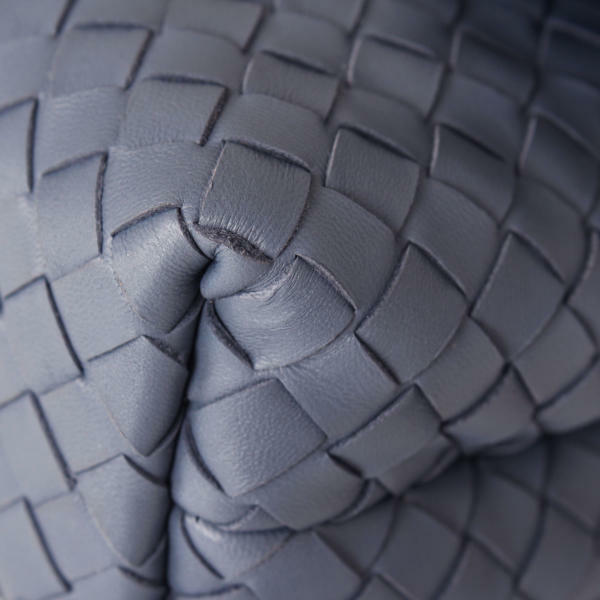 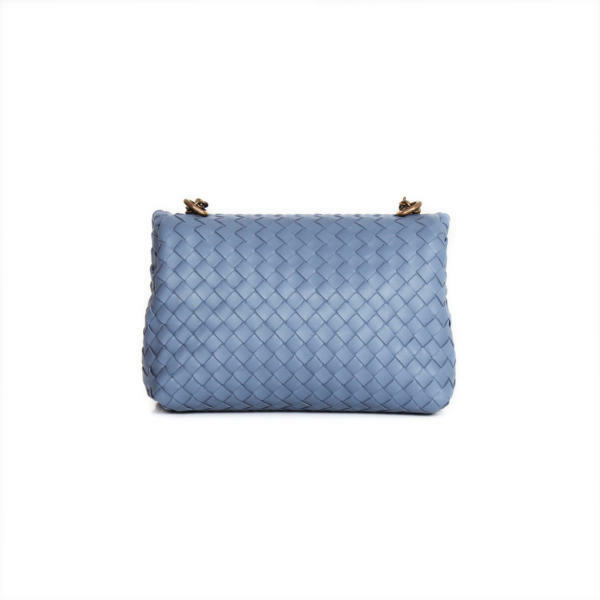 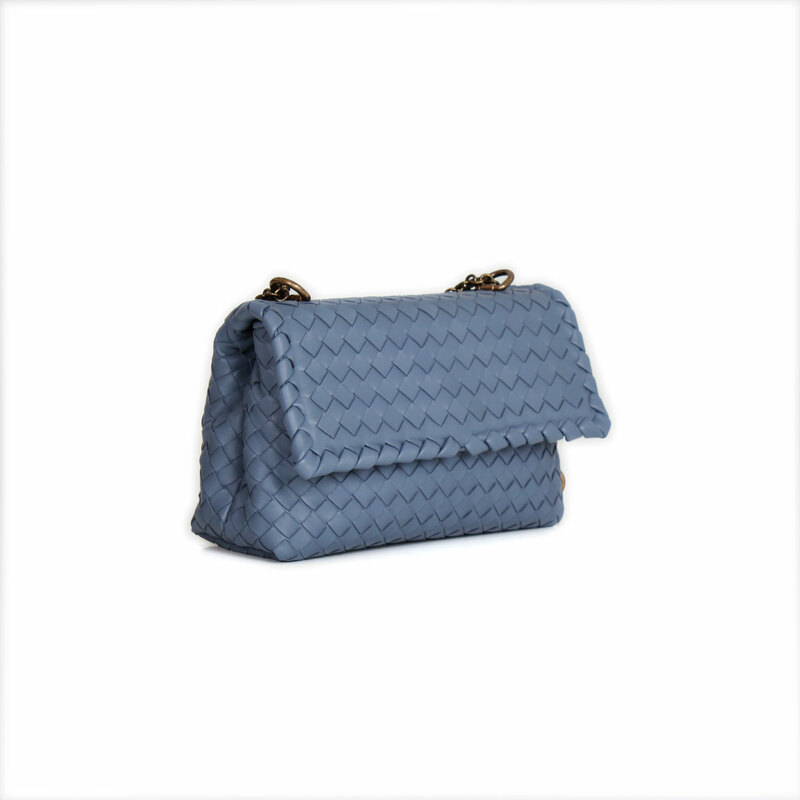 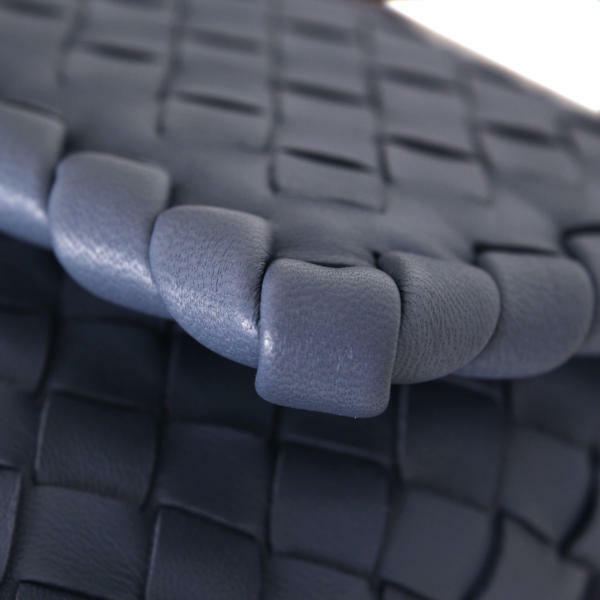 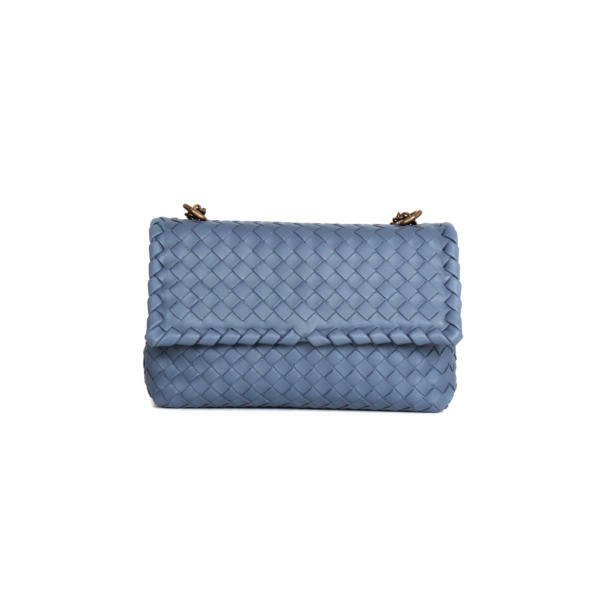 The compact version of the Olimpia bag by Bottega Veneta is made entirely in soft Nappa Intrecciato , characteristic of the firm. 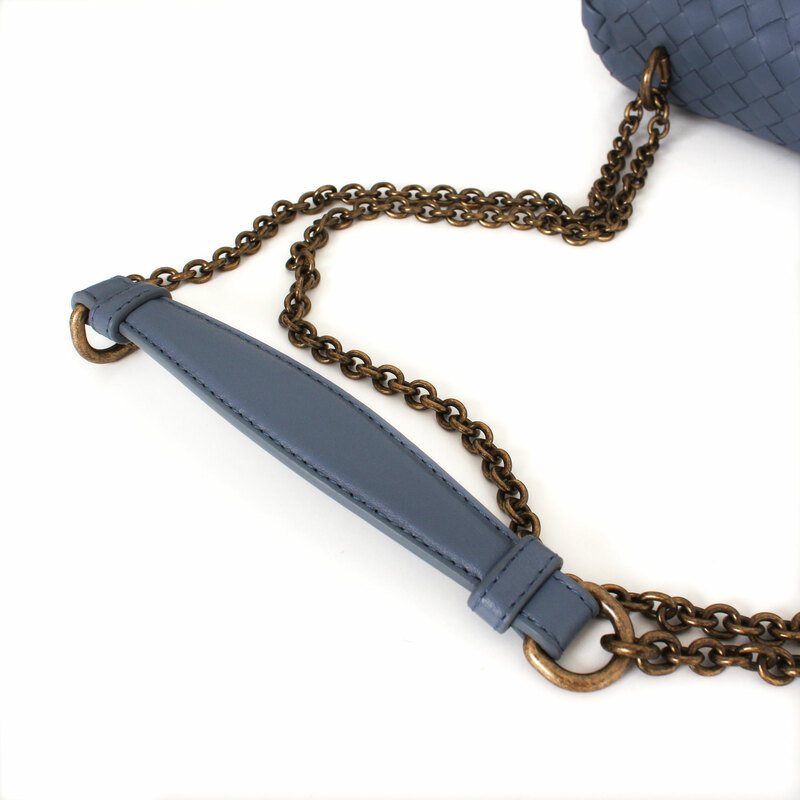 It combines its stone blue color with the hardware in aged gold tone. 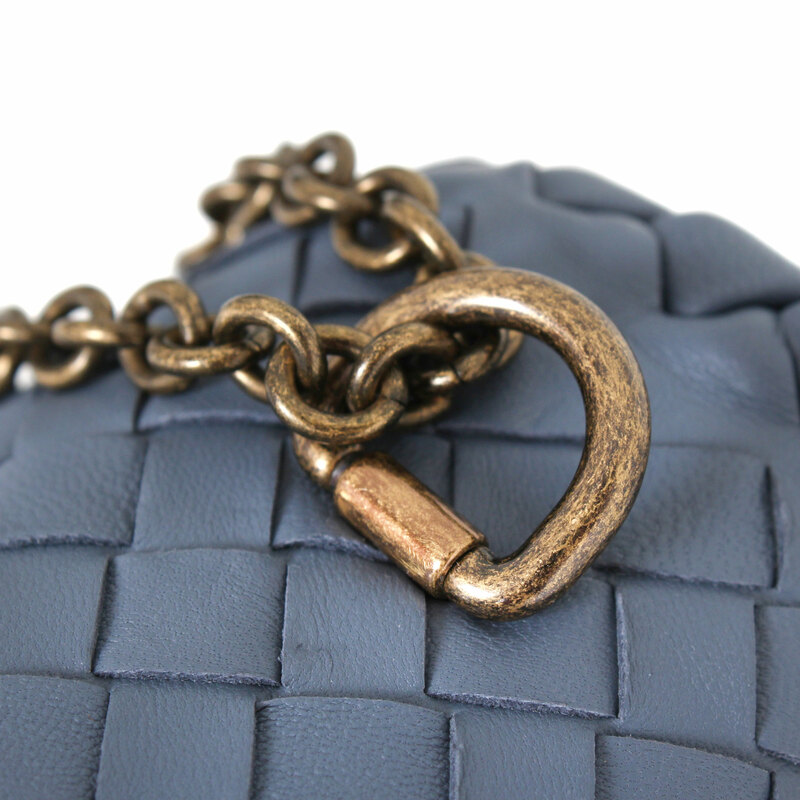 A long chain with a leather pad allows it to be worn on the shoulder or crossed, making it a practical and elegant design. 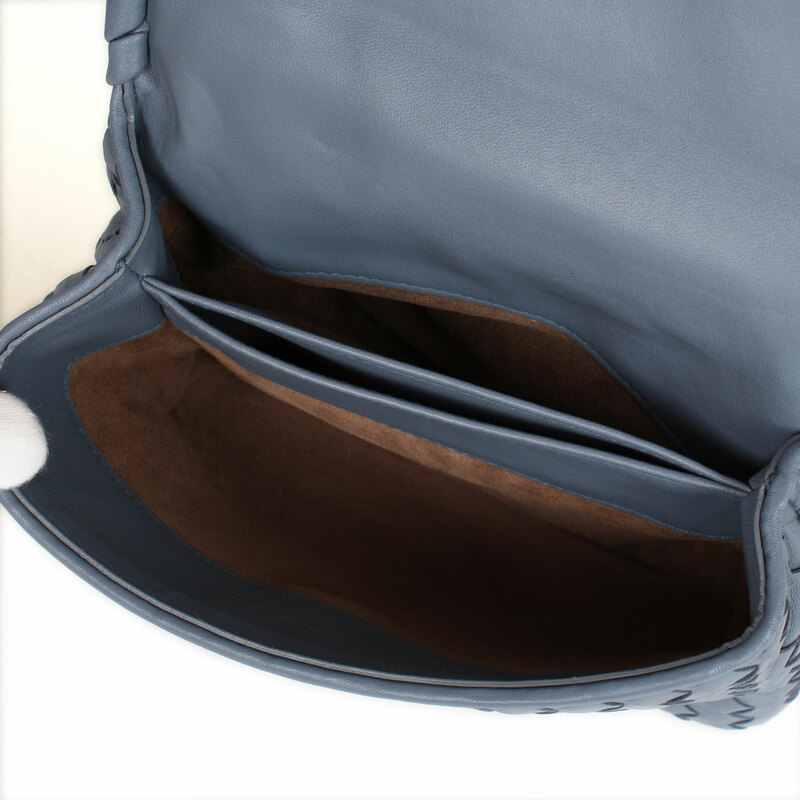 It has a front flap that closes with a magnetic closure and gives access to an open interior with three compartments. 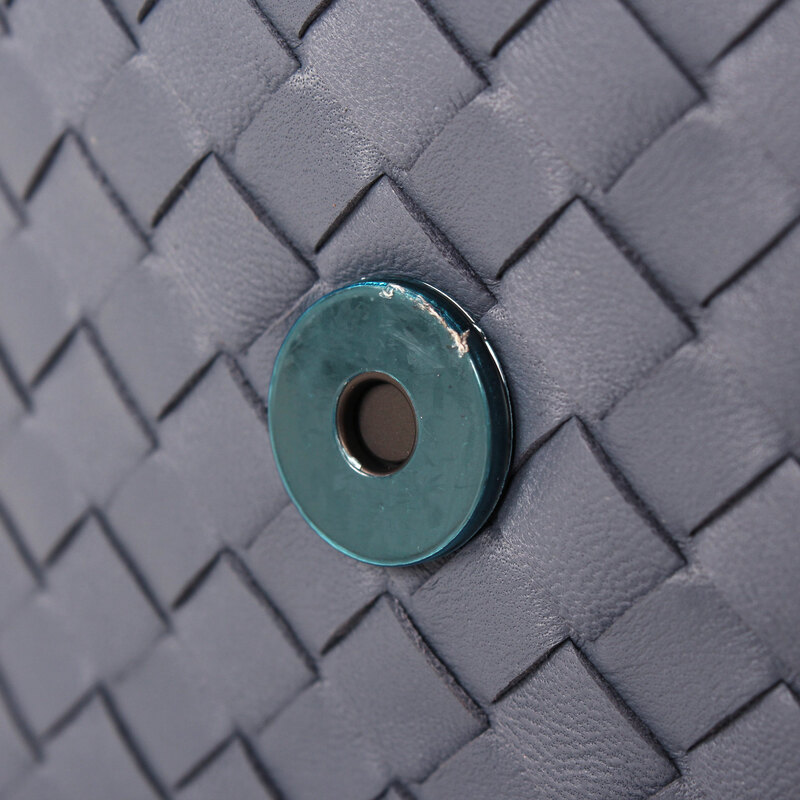 Includes a matching mirror.